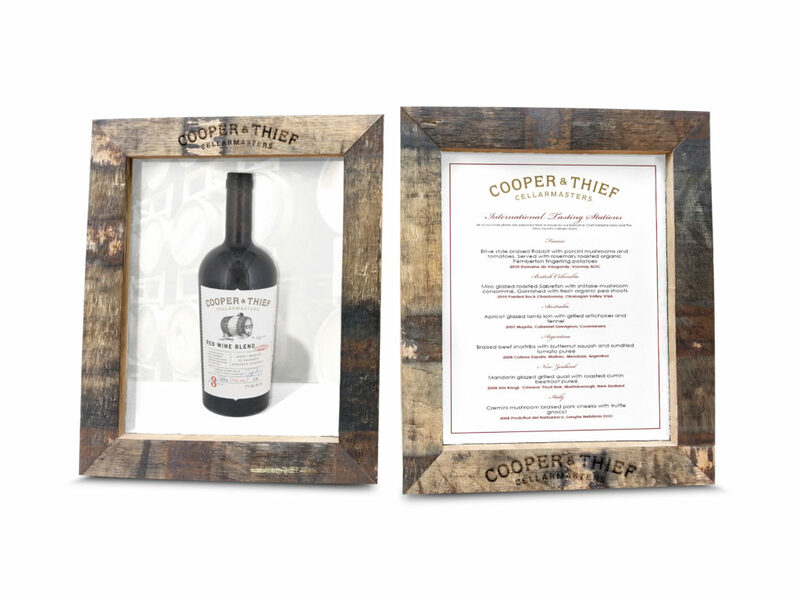 We are excited to offer frames made from authentic whiskey barrel staves (oak wood). These items can be used to showcase any 5″ x 7″, 8″ x 10″ , 8-1/2″ x 11″ inserts. Each item comes standard with an easel back (tabletop display), saw-tooth hanger (wall display) and glass front. 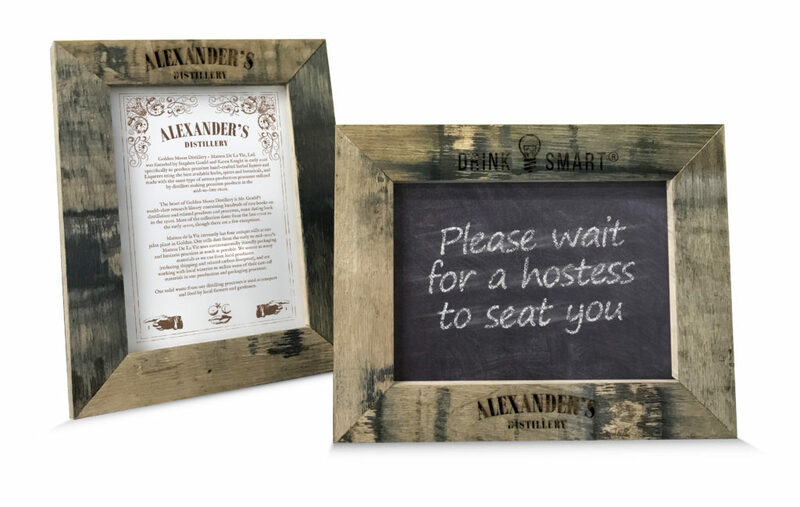 Our customers are using this super unique item for restaurant/retail signage, artwork, menu display, and table top displays. Each frame is one of kind showing different coloring, markings and grain patterns. We inventory the material and fulfill when you are ready to place an order. Optional laser engraving is available. Made-To Order items are created as orders come in. Please allow up to 2 weeks*.